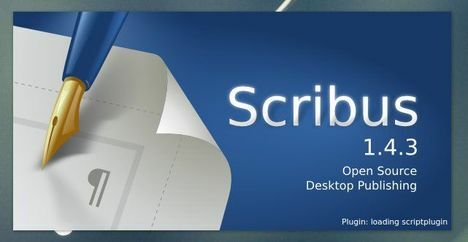 The desktop publishing app Scribus has reached version 1.4.3, this tutorial will show you how to install it in Ubuntu 13.04, 12.04, 12.10, 10.04, Linux Mint via its official repository. UPDATE: Latest Stable Scribus 1.4.4 Now is available in PPA for Ubuntu 14.04, Ubuntu 13.10, and Ubuntu 12.04. The Barcode Writer has been updated and supports many more barcodes, including QR. The Galaxy Gauge™ color matching system and color tools have been included. New color palettes from government agencies (Canada, Germany, The Netherlands, United Kingdom) have been included. More Open Source color palettes have been included. Improvements to the build system. Improvements to the Preflight Verifier. The A4 page size limit of TeX-rendered graphics in Render Frames has been removed. The Short Words plug-in now supports Danish. Many updates to the Online Manual. Disabled hyphenation on some Linux distributions is working again. Some unit conversion issues have been fixed. Display issues related to Ubuntu’s Unity interface have been fixed. Some fixes to wrong or irritating UI behavior. Memory management in connection with the new Hyphenator has been optimized. Issues with the Clang compiler have been fixed. Scribus now supports Pillow as an alternative to the Python Imaging Library. sudo add-apt-repository "deb http://debian.scribus.net/debian/ $(lsb_release -cs) main non-free"
That’s it! After this tutorial, you can redo step 3.) to receive updates when a new release comes out.